Balance is the key at Cos-d'Estournel. As usual, I visited the three leading estates of St.-Estèphe on the same day. All three have a distinct style, and the contrast between them makes for a fascinating set of tastings. At Château Cos-d'Estournel, technical director Dominique Arangoits is happy with his 2017s, as he feels the early-running season gave him a leg up on ripening. "That early cycle wound up helping because May and June were hot and the flowering was two weeks ahead of normal," says Arangoits. "But what is good about an early season is the vineyard really uses the long days of June. Then we got [3.5 inches] of rain at the end of June that was really needed. By end of August we had a little water stress and we were looking at a warm vintage with high alcohol. But by the end of September, we were looking at a more classic Bordeaux vintage, with freshness and acidity. Most of our Merlot is on clay, so the September rains weren't too much of an effect because the vines are not able to drink up the water in clay quickly. Plus, they were ripe from the early growing season." "Picking started Sept. 12, as we have a lot of Merlot. And then we were done by Sept. 30 with the Cabernets. Since '00, only in '03 and '11 did we finish in September. But the key is really an early and even season. When that happens you're confident, because you know you will maximize the extra sun in June. That combination of dry, but not too hot, is the best combination for Bordeaux," Arangoits adds. "The tannins are ripe and not too dry with a wine that has more moderate alcohol and good acidity. This is the new challenge, to keep the balance, versus 20 years ago when we needed to push for ripeness." The 2017 Cos-d'Estournel Pagodes de Cos (second wine) represents 60 percent of the crop and is made from ablend of 56 percent Cabernet Sauvignon, 42 percent Merlot, 1 percent Cabernet Franc and 1 percent Petit Verdot. It's very bright, with floral-lined cassis and cherry fruit underscored with a faint chalky minerality. The 2017 Cos-d'Estournel grand vin is 66 percent Cabernet Sauvignon, 32 Merlot, 1 Petit Verdot, 1 Cabernet Franc, and comprises just 40 percent of the crop, a slightly stricter-than-usual selection. It's nicely built, with a still-compact core of damson plum, cherry and cassis fruit laced liberally with very fine iron and lilac notes. The pure finish has a lovely pitch, with the sheen and gloss of the house style but a lingering tug of minerality running along as well. At Calon-Ségur, general director Laurent Dufau has been in charge since the new ownership took over in 2012. A new winery facility was completed in 2016 and quality continues to surge here. "The replanting program is progressing too," says Dufau. "As the vineyard is upgraded and filled out, the volume of grand vin should account for about two-thirds of the crop by 2030 or 2035. We are increasing the density to [4,000 vines per acre] from [2,400]. And we are increasing the percentage of Cabernet Sauvignon." 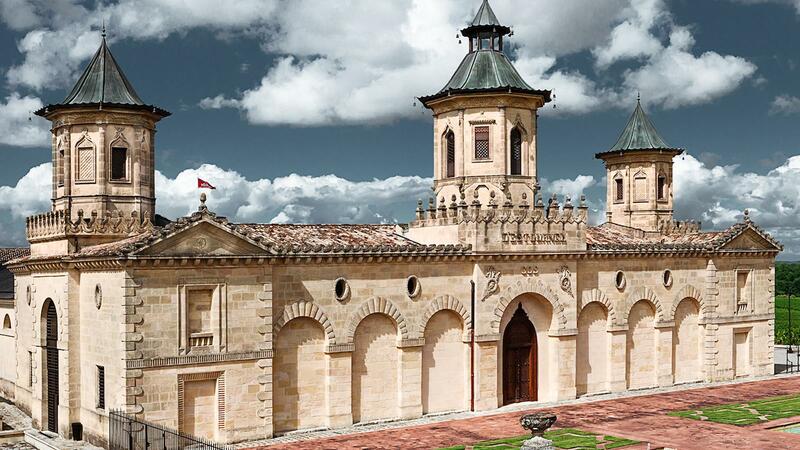 From Calon's sister property across the street, the 2017 Château Capbern looks to continue its recent trend of being one of Bordeaux's best values. It's got a fresh, juicy edge to its raspberry and plum fruit, with a plump feel in the midpalate offset by light lilac and pebble accents through the finish. Yields at Calon were 3.1 tons per acre, a touch above 2016. The 2017 Calon-Ségur Le Marquis (second wine) represents 50 percent of the crop. The 57/38/5 Merlot, Cabernet Sauvignon and Cabernet Franc blend offers up cherry and plum paste flavors with good energy and a juicy, anise- and lilac-filled finish. It has modest grip, with a light chalky echo and should be ready pretty much out of the gate. The Merlot was harvested Sept. 15 to 21 and then the Cabernets Sept. 25 to 29, with the Cabernets benefiting more from the excellent weather after the early September rains. "We got [2.75 inches of] rain in September, which was the same quantity as '15. But in '15 it fell in two days and right before the harvest. In '17 it was spread over a week, and then with warm weather after, there was botrytis ready to pounce, so we had to move quickly on the Merlot," says Dufau. The 2017 Calon-Ségur grand vin, representing one-third of the crop, is a 76/13/9/2 Cabernet Sauvignon, Merlot, Cabernet Franc and Petit Verdot blend. It has a plush core surrounded by a nicely defined chalky edge, with plum and cherry compote flavors flecked with bay leaf, savory and tobacco. There's a tug of warm earth throughout as well. Youthfully tight, this is a very solid wine in the making and continues the successful trend line here under the new administration. Last but not least is Montrose, whose 220 acres of vines are now divided up into 110 parcels. Cellar master Vincent Decup vinified them all separately, thanks to the new range of vats installed in time for the 2017 vintage. Don't let the classic facade fool you: Montrose's winemaking facilities just got an upgrade. "It was not a vintage to extract, because the tannins and color came quickly from the thick skins," says Decup. "So only a little to no pigéage (punch-down) and maceration was shorter than in recent vintages, 18 or 20 days versus 21 to 24. And we only added 12 percent of press wine instead of the usual 14 or 15 percent." From the sister property, the 2017 Tronquoy-Lalande shows perhaps a light dilution from the early September rains, but the cassis and lilac notes are ripe and bright, with a zip of chalk through the finish. It's on the lighter side, but pure and expressive. The 2017 La Dame de Montrose (second wine) represents 32 percent of the crop and is a 49 percent Merlot, 43 Cabernet Sauvignon, 4 Cabernet Franc, 4 Petit Verdot blend. It's sleek and pure, with a nice iron and sanguine frame around damson plum and cherry fruit. The 2017 Montrose grand vin, just 37 percent of the crop, keeps pace with its neighbors at Cos and Calon. The 76 percent Cabernet Sauvignon, 20 Merlot, 3 Cabernet Franc and 1 Petit Verdot blend represents the highest percentage of Cabernet Sauvignon since the 1996 vintage. The wine is tight, but filled with lovely raspberry, bitter cherry and plum fruit. It has enticing energy and seems really coiled, with bright iron and floral notes wrapping up the finish. It's long and very focused, with the chalky minerality really shining today.